This is possibly one of the most common questions I receive about ClickFunnels. As someone who has been using Clickfunnels for over a year and has earned multiple six figures through my Clickfunnels membership site, I’m able to help you understand if it is for you. Also, being a marketing coach and consultant, I have seen many situations where ClickFunnels is not the appropriate solution and I am always the first to point out the other alternatives that can save time, energy and money if they will get the job done correctly. This is not a full Clickfunnels review where we look at the dashboard or the editor inside the software. This is more of a view from the clouds where we are assessing your life and business situation to try and apply the right solution to your life situation. There is nothing worse than getting started on the wrong solution and having to change later on! I know from experience… It can cost a lot and is a total momentum breaker! 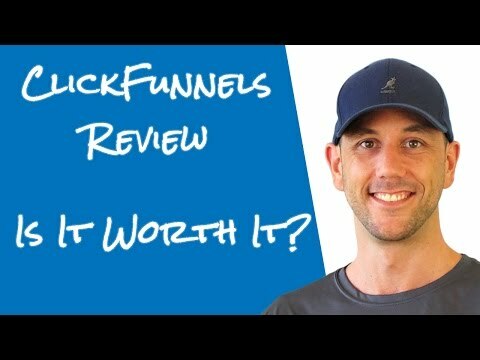 The next video in this series looks at the clickfunnels pricing to help you understand the costs and packages available to you.